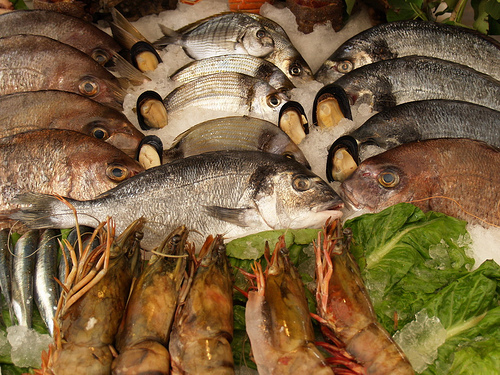 But one oft-recommended dietary improvement presents a problem: eating more fish. Without a doubt, fish is an excellent food, particularly because it is so rich in Omega 3 fatty acids, which have been shown to have positive effects on heart and immune health, as well as anti-inflammatory effects. But some kinds of seafood are also rich in something that has no business being in your body: mercury. So the question becomes: Do the nutritional benefits of fish outweigh the risks of ingesting mercury? The common refrain is, “Yes, they do,” but seldom do you hear any evidence to back the claim. Rather, the benefits are touted and the risks are downplayed, sidestepping the fact that mercury – a potent neurotoxin – is not something a person should be taking into their body at all. It is a poison. It’s why, as a dentist, I refuse to place mercury amalgam fillings, and why a good amount of my practice involves removing amalgam and helping people heal from the ravages of mercury poisoning. The common refrain also rests on a fallacy: It presumes that all kinds of seafood are alike in their mercury content. This simply isn’t true. While many fish and shellfish are fairly low in mercury, some – such as albacore tuna, tuna steaks and halibut – contain quite a lot of it. Ideally, then, you want to avoid the kinds of fish that tend to be high in mercury and opt for those that are low. To this end, the Mercury Policy Project – a nonprofit group working to eliminate the use of mercury in dentistry and other fields – has put together a helpful guide to low-mercury fish (PDF; a guide listing higher mercury seafood, as well, is available here). Print it out and keep with you for reference when you shop or go out to eat. Safest options include shrimp, tilapia, salmon and freshwater trout. “Below average” options include pollock, sole, catfish and squid. To learn more about the facts about mercury contaminated fish, check out the MPP’s dedicated site, Mercury and Fish: The Facts.